Sunday night saw the latest iteration of Comedy Central‘s infamous roasts, in which an industry legend gets lambasted before a panel of their peers, a live audience and millions of people at home. 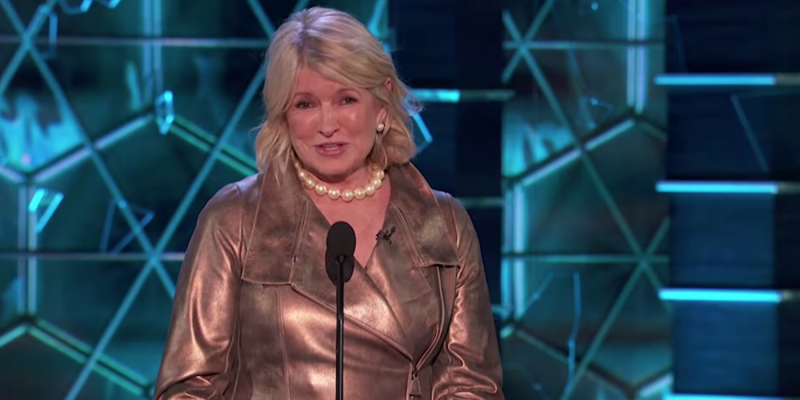 But as many hilarious, tasteless jokes were shared from the dais last night during the network’s Bruce Willis roast (these roasts are commonly a venue for the most crass, politically incorrect jokes you can imagine), one joke really took the cake. It was a Martha Stewart Cybill Shepherd joke that reinforced what we kinda already knew: Second only to Oprah, perhaps, Martha Stewart is one of the most powerful ladies in the universe. Past honorees of a Comedy Central roast include Charlie Sheen, David Hasselhoff, Pamela Anderson and Justin Bieber. (So, yeah, they’re not exactly for the A-list.) Donald Trump was also roasted on Comedy Central — back in 2011 — but let’s not even get into that. Originally Comedy Central would simply air the annual roasts conducted by the New York Friars Club, which have taken place since 1950, but in 2003 the network began to produce its own. The Bruce Willis roast featured a pretty diverse panel of friends and co-stars. Onstage were Cybill Shepherd (his Moonlighting co-star), Joseph Gordon-Levitt (his Looper co-star), Nikki Glaser, Lil Rel Howery, Dom Irrera, Kevin Pollak, Dennis Rodman, Martha Stewart and Jeff Ross. Demi Moore, ex-wife of Bruce Willis, also made a surprise appearance. The night featured several brilliant burns and salacious stings, but as we said, one joke took the cake. 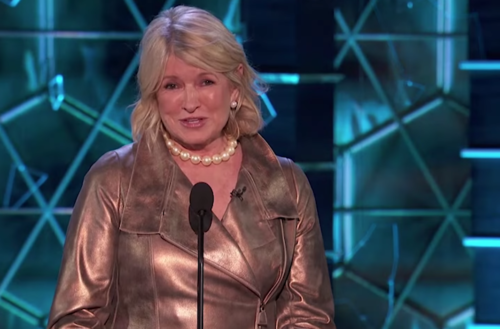 When it was Martha Stewart’s turn to approach the dais (she’d actually been there before as one of the roasters for Justin Bieber) she brought up the 2003 TV movie Martha, Inc.: The Story of Martha Stewart, in which Shepherd portrayed her. Let’s just say that Martha Stewart wasn’t a fan of the movie. And after doing a little digging, we’ve uncovered that Stewart has actually gone on-record about her disdain for the film — and for Cybill Shepherd, too — in the past. What did you think of the Martha Stewart Cybill Shepherd bit? Funny or too far? Watch more clips from the Bruce Willis roast here.